Vladimir Abramovich Rokhlin's parents, Abram Beniaminovich Rokhlin and Henrietta Emmanuilovna Levenson, both came from Jewish families. Abram Beniaminovich, originally from Belorussia, was a well-educated administrator whose work, although based in Baku, took him to the Ukraine, Central Asia, and Moscow. He was active in politics, being a social democrat who opposed the communists. Henrietta Emmanuilovna, originally from the Ukraine, was a medical doctor in Baku and the daughter of Klara Levenson who was one of the first women doctors in Russia. The Levenson family had moved to Baku during the Russian revolution and Henrietta Emmanuilovna continued to practice medicine after the birth of her son Vladimir Abramovich. Sadly, however, she died in 1923 when her son was only four years old. There were riots in Baku after infected drinking water caused an epidemic and it is thought that Henrietta Emmanuilovna was murdered at this time. Rokhlin possesses great mathematical abilities. He grasps the presented material extraordinarily quickly and easily, thinking it out critically and independently verifying a whole chain of logical conclusions ... Rokhlin's interest in mathematics is so strong that he independently studied the beginnings of calculus, analytical geometry and higher algebra. He also shows great interest in the history of mathematics. On the strength of what I have set forth, I am persuaded that Rokhlin will be a serious researcher in the field of mathematics, ... , that the path of investigation, and of research is appropriate for him. Possessing scientific initiative, Rokhlin, even at the very beginning of his undergraduate years, took part in research work, which was initially in topology and later in the spectral theory of dynamical systems. Tragedy struck, however, for in 1939 Rokhlin's father was, in that year, first exiled and then arrested in Stalin's campaign of political terror directed against military leaders, industrial managers, and government officials as well as leading figures in the arts, the academic world, the legal and the diplomatic professions. Rokhlin's family were sent to Siberia, but as a student in Moscow, Rokhlin himself was able to continue his studies with nothing worse than the loss of his 'Stalin scholarship'. Abram Beniaminovich was sentenced to death on 31 July 1941 and shot soon after. By this time Rokhlin was undertaking research supervised by Plessner. He was studying measure theory and dynamical systems and had done a lot of work bringing a major set of lectures by Plessner on the spectral theory of operators to publishable form. 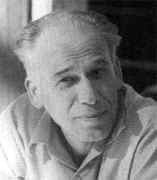 He had written a prize-winning paper On the fundamental ideas of measure theory influenced by Kolmogorov. However, World War II put a stop to his impressive work towards his candidate's degree (equivalent to a Ph.D.). ... he was wounded in both legs and was left in the countryside in civilian clothes in the care of local residents. Several times he attempted to cross the front and return to the army, but without success. At the end of 1941, his wound reopened and he was put in a civilian hospital in the territory under German occupation and remained there until July 1942 when as a result of a denunciation and after a German trial he was sent to a prisoner-of-war camp. We beg your attention to the fate of Vladimir Abramovich Rokhlin, who returned from a German prison camp ... Some first-class completed scientific studies are already due to him ... Judging by the beginning of his scientific career he promises to become an outstanding scholar; his return to scientific work would undoubtedly lead within the next few years to his obtaining significant new scientific results, ... therefore we consider that in the interests of the development of Soviet mathematics it would be extremely desirable to permit V A Rokhlin to return in as short a time as possible to his graduate studies in order to continue his scientific work under our supervision. Wheels moved slowly and it was almost a year after this letter was written, in December 1946, that Rokhlin was allowed to return to Moscow where he was employed as Pontryagin's secretary. He quickly picked up his research where he had left off and was awarded his candidate's degree (equivalent to a Ph.D.) in June 1947 for his thesis Lebesgue spaces and their automorphisms which was examined by Kolmogorov. He was then appointed as a research assistant in Pontryagin's department at the Steklov Mathematical Institute of the USSR Academy of Sciences. He defended his doctoral thesis On the most important metric classes of dynamical systems in 1951 - the examiners were Bogolyubov, Gelfand and Kolmogorov. One might imagine that this success, praised by the examiners in the highest possible terms, would have led to promotion within the Steklov Mathematical Institute or to a good position at a leading educational establishment. This, however, was not to be and, although of course it would not be admitted, nevertheless his failure to achieve a position in keeping with his achievements must have be due to the anti-Semitic policies being pursued at that time. There was quite a difference between Stalin's anti-Semitism and that of Hitler. In Germany the Nazis made it government policy while in Russia anti-Semitism was officially a crime yet was vigorously encouraged by Stalin under a policy against "rootless cosmopolitans". One good thing did happen to Rokhlin, however, for he married Anna Aleksandrovna Gurevich, a student of Pontryagin's. She gave Rokhlin great support in his battle against the authorities, collaborated with him on a mathematics paper, and together they had two children, a son Vladimir (born 1952) and a daughter Liza (born 1955). Unable to obtain a position in keeping with his qualifications, yet having a family to support, Rokhlin accepted a professorship in the Institute of Forestry at Arkhangelsk. He taught there until September 1955 when he was appointed as a professor of analysis at the Pedagogical Institute in Ivanovo. In 1957 he moved to the Pedagogical Institute in Kolomna, a small town close enough to Moscow to allow him to interact with the mathematicians at Moscow University. He began running a seminar on ergodic theory at Moscow University and influenced several of the younger mathematicians such as Vladimir Igorevich Arnold and Sergei Petrovich Novikov. This was a one-semester course, three hours a week in the first semester of the second year. At most two two-hour lessons during the whole semester were devoted to solving problems. It was not Rokhlin, but his graduate students who conducted these lessons. For instance, in 1966-68 they were conducted by Misha Gromov ... Rokhlin regarded the course as a theoretical one and did not wish to spend the lecture time to solving problems. By the end of the 1960s he was running his famous topological seminar at Leningrad. His vigorous activity was somewhat slowed in 1974 when he suffered a heart attack but he recovered well enough to continue a high rate of activity, even if slightly less than before his illness. He had other problems during the second half of the 1970s, resulting from the political demands being made on science and scientists. Although he took no part in any political activity, his background led the authorities to treat him with suspicion. The university authorities required him to resign his position in 1980 but the efforts of his colleagues to overturn this did allow him to continue for one more year. Rokhlin's scientific legacy is comparatively small in volume and can be approximately divided into four parts: topology (basically four-dimensional topology and the algebraic apparatus of topology); real algebraic geometry (in his last years); ergodic theory (basically the spectral theory, entropy theory and algebraic aspects); and, lastly, works on history, teaching and the methodology of mathematics. The last group unfortunately did not find sufficient expression in publications, but it continually occupied Rokhlin and his ideas, which he often presented in talks and public lectures, are sufficiently well known and exerted an influence on those around him. Would his fate be different, he, certainly, would live longer and would do much more in mathematics. In the last years of his life after his retirement Rokhlin continued to work mainly in real algebraic geometry and four-dimensional topology. He planned a series of papers and books on popular and general scientific subjects, discussed problems of education, methodology, publication of literature, etc. Throughout these years, he fought with fortitude against illness; nobody heard a complaint from him, and, perhaps because of this, his death was unexpected and shocked all, who were associated with him; several days before it he was discussing current mathematical problems animatedly with students and colleagues. Rokhlin's varied interests included literature, the natural sciences, history, languages - conversations with him on these subjects were fascinating. Rokhlin died following a heart attack in 1984. His widow survived nine years longer, dying in November 1993. Their daughter, Liza, only outlived her mother by three weeks having failed to reach forty years of age when she died. Their son Vladimir, who became a leading mathematician and computer scientist, emigrated to the United States where he became a professor at Yale and was elected to the National Academy of Sciences.